Do out-of-state employers have to provide Illinois workers’ compensation insurance if they have an employee in Illinois? In most cases, yes. Although workers’ compensation laws vary from state to state, Illinois requires all companies with at least one employee in the state to be covered under Illinois workers’ compensation requirements. As long as the employee is not exempt from workers’ compensation benefits, the out-of-state employer is required to include Illinois-compliant benefits on its insurance policy. Remote employees who live in Illinois. An out-of-state employer must cover employees in Illinois, even if there is only one employee in Illinois and the company and all other employees are located in a different state. Employees whose majority of work takes place in Illinois. A company that is headquartered in another state but has a satellite office or factory in Illinois must provide workers’ compensation insurance that includes Illinois coverage. Business operations in Illinois. Out-of-state companies that conduct regular business in Illinois must provide a workers' compensation insurance policy that includes Illinois coverage, even if all workers reside in the same state as the company. Employees hired in Illinois. Any workers whose employment contracts were entered into in Illinois must be covered by Illinois workers’ compensation insurance. Work-related injuries that occur in Illinois. If an employee from an out-of-state company is injured while doing a work-related task in Illinois, he or she has the right to file a workers’ compensation claim in Illinois. 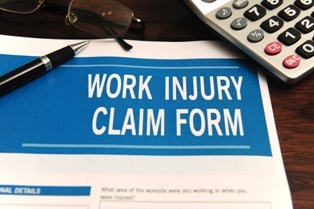 If you are eligible for Illinois workers’ compensation coverage, you have a right to collect benefits for an on-the-job injury regardless of where it occurs. Contact the experienced workers' compensation attorneys at Tapella & Eberspacher today at (855) 522-5291 or fill out our online contact form to schedule your free consultation.